Happy Friday! 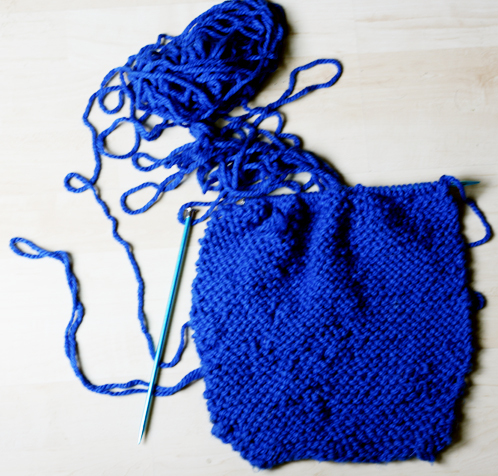 A couple of weeks ago I went to my first knitting circle and I have never knitted before.. I tried once when I was a teenager (yikes aging myself) and it was a big fail. I know it's not the most perfect attempt at knitting- lots of dropped stitches and holes :) but hey I did it. It was so much fun and one of the more experienced knitters told me I could be ready to learn Pearl 1. I'm not sure what Pearl 1 is but it sounds exciting.. doesn't it? This weekend is a boring weekend.. we are doing.. taxes.. Taxes are not fun but such a relief once it's over and then after taxes are over we are rewarding ourselves with a delicious lunch date. My great grandmother tried to teach me to knit once...and I did for about a year...then gave it up for crochet. You looks like you are doing great. Love that shade of blue. Best of luck with the taxes Erika, they sound complicated in America which is such a nuisance so hopefully it goes well, enjoy your lunch though! Love this post though, your knitting is superb. Good for you!!!! Knitting is super fun, especially when you have baby cause everything is so small it knits up super fast! Good for you! I have no patience for such things!!! This is so timely, I was just saying to my husband last night that I want to learn to knit! I used to know how when I was a kid but have completely forgotten. And can I just say that blue colour you have chosen is STUNNING!